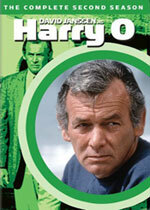 Harry O: Mystery and Suspense on Television. 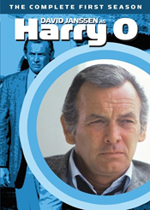 David Janssen stars as Harry Orwell, a San Diego cop forced into retirement after being shot in the back, who initially sets up shop as a private investigator on Coronado Island before moving to Santa Monica. Following two pilots -- "Such Dust as Dreams Are Made On" (03/11/1973) and "Smile Jenny, You're Dead" (02/03/1974) -- the series aired for two seasons on ABC. 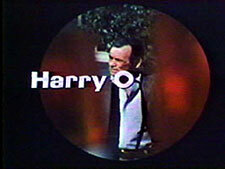 In a somewhat ironic twist, Harry O was canceled by the network and replaced by Charlie's Angels, which stars Farrah Fawcett-Majors, who played Harry O's neighbor and occasional girlfriend Sue Ingram.